Any inquiry into the state of Western musical culture today would find very few performers, pedagogues, composers or critics who would admit to being unfamiliar with the tempo machines known collectively as ‘metronomes’. For many who consider themselves musically inclined, performing with the ‘right’ rhythm in the ‘proper’ tempo is inexorably intertwined with these now-commonplace technologies. The sound emitted from metronomes – once made from clockwork, and now from more precise quartz crystal oscillators and digital circuitry – provides singers, conductors and instrumentalists both young and old with an apparently trustworthy basis for understanding the tempos of nearly every piece in the Western musical canon.2 The metronome’s artificial clicks, they are often told, objectively underpin the metre, pulse and rhythm of works as divergent as Renaissance masses and Suzuki exercises to complex Baroque sonatas and Romantic-era symphonies. It would seem pointless to consider otherwise, given that popular references continue to describe metronomes as innocuous ‘devices that measure the time of music’.3 This seemingly absolute truth, in which the ‘time of music’ is deemed a scientific, mechanically measurable constant across history, has been largely unchallenged in musical pedagogy or scholarship since the twentieth century. 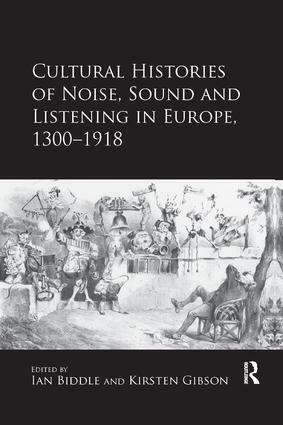 Indeed, some at the vanguard of performance, education and criticism have done much to support the metronomic basis of musical temporality, despite the conceptual anachronism it represents when placed against former epistemologies of time, the history of technology and past performance practices.